Alan Hyde is a veteran of the U.S. Marine Corps and the Central Alabama Veterans Health Care System. He served in Operation Desert Storm, where he suffered an in-service leg injury. But it’s his time with the Central Alabama VA, he says, that has left him more rattled, frustrated and angry. Hyde is both a patient and a former employee at the Central Alabama Veterans Health Care System (CAVHCS) in Montgomery. He supervised employees who took vets for treatment outside the VA. Hyde was fired after six months for unspecified misconduct. He is among dozens of people who say they faced vicious retaliation when they tried to improve conditions there or hold managers accountable. More than 30 current and former VA employees spoke to NPR. They include doctors, nurses and administrators — many of them veterans themselves. All describe an entrenched management culture that uses fear and intimidation to prevent potential whistleblowers from talking. “If you say anything about patient care and the problems, you’re quickly labeled a troublemaker and attacked by a clique that just promotes itself. Your life becomes hell,” one longtime employee at the Central Alabama Veterans Health Care System or CAVHCS told NPR. Like many we interviewed there, she requested anonymity out of fear for her job. The problems are especially acute at hospital complexes in Montgomery and Tuskegee, Ala., which are part of a regional network known as VA Southeast Network VISN 7. The VA divides veterans’ health care into 21 geographic regions called VISNs. Workers say the retaliatory tactics run the gamut from sophomoric (a shift manager pouring salt into a subordinate’s coffee cup) to hard-to-fathom (isolation rooms used as psychological coercion) and more. But neither those charged with federal oversight nor the VA itself has taken those steps, months or even years after the first complaints were reported. VISN 7 leads the VA in the number of whistleblower complaints per veteran served. The VA itself leads all federal agencies in the number of whistleblowers who say they’ve been retaliated against — up to 40 percent annually, according to federal testimony. Two nonprofit groups that support whistleblowers say the number of retaliation cases they see from the VA is far higher. Physical isolation and verbal abuse. Bullying in and outside the workplace. Counter-investigations that blamed the employees for creating a “hostile work environment” or other vague and often unspecified charges. Why are conditions so bad in Central Alabama? Watchdog groups and affected workers believe it’s a combination of weak, inconsistent enforcement of whistleblower protection laws, a senior managerial culture that practices and condones bullying, and a VA system that too often sends whistleblower grievances right back to regional managers who are often part of the original complaints. The scope of the retaliation and sheer number of retaliation complaints in VISN 7 and across the agency raise questions about whether the VA can adequately police itself and embrace whistleblowers as President Trump and the VA have vowed to do. “I hadn’t been there [Central Alabama] two weeks when an employee came in to tell me about illegal activities in the kitchen, and he stopped right there and he said, ‘But if you’re not going to do anything about it, I’m going to keep my mouth shut, otherwise I become the target,'” says retired U.S. Army Col. Cynthia Chavez. Chavez has some 50 years of combined Army active duty, Reserve and VA service. She has consistent outstanding or exceptional performance reviews across both institutions. In June 2014, she was hired to lead Nutrition and Food Services for Central Alabama’s VA. She soon found that both the Montgomery and Tuskegee hospital kitchens — especially Tuskegee’s — had serious, systemic problems. Some employees, she says, routinely came in late, left early or didn’t show up at all. One, she says, would openly drink on the job. That employee once told a veteran in a PTSD program, ” ‘I’ll give you the bullet to put in the gun to shoot yourself,’ ” she says. Remarkably, that wasn’t the worst of it. Chavez was told that a longtime employee was allegedly running a side catering business out of the VA kitchen in Tuskegee. One Valentine’s Day, for example, a case of steaks and cheesecakes meant for a special hospital meal for vets went missing. Several co-workers told Chavez the thievery had been going on for years. Soon after, Chavez got the first of many anonymous-threat letters slipped under her Tuskegee office door. “This isn’t the Army, where you had connections. This is the VA and we will get you,” one letter said. But Chavez says that the anonymous-threat letters were only slightly more menacing than what she soon got from her boss and the local union leaders. The union, Tuskegee AFGE Local 110, quickly announced it had taken a vote of “no confidence” in Chavez. And her top boss, a career VA employee named Leslie Wiggins, soon told her in no uncertain terms to back off. In fact, Wiggins then took charge of all discipline and oversight of the VA’s troubled hospital kitchen. She also stripped Chavez of all the authority and oversight she had been hired to impose on the department. The reason given, emails and documents show, was Chavez’s “inappropriate disciplinary actions” against the food service staff. She notified federal offices that she was the target of whistleblower retaliation. Nothing, so far, has come of it. Chavez eventually went out on medical leave to care for her cancer-stricken husband. Chavez’s request to be allowed to retire at the end of March and to use her remaining sick leave to help her husband was denied. She reluctantly retired. Despite several Freedom of Information Act requests, Chavez has never seen details of the charges brought against her in what’s known as an Administrative Investigation Board (AIB). The woman who was allegedly stealing food from veterans for years through her side catering business? She was allowed to retire with full benefits. There’s no indication she was ever disciplined by the VA or the local union. Neither Wiggins nor Boyle would comment on Chavez’s case or the wider pattern of retaliation. Dr. Julian Kassner, a former lieutenant commander, is a Navy-trained physician with a stellar record. The Central Alabama VA hired the native New Yorker in 2016 to clean up a deeply troubled radiology department that had been embroiled in a 2014 scandal involving falsified records and substandard care. More than 2,000 X-rays of veterans went unread over a five-year period. Kassner, interviews with his former subordinates show, worked fast to try to clean up the department. His radiology co-workers liked that he was taking charge. He got a good performance review from his immediate boss and was even tasked with helping to implement radiology improvements across the Southeast district. Then suddenly, he found himself the target of an investigation and workplace retaliation. He immediately sent a letter requesting clarification as to what exactly he’d been accused of and an opportunity to respond. Soon after, Kassner, like other whistleblowers in VISN 7, was isolated — literally — in a remote room. He was ordered not to talk with colleagues or access documents while the investigation unfolded. To be closer to his family in neighboring Florida, Kassner’s contract allowed him to read medical images remotely part of the time, a common practice in radiology. The Montgomery leadership began to use that telework agreement against him and ordered him on site full time. During the initial days of retaliation, he thought he was going crazy. But he wasn’t. Audio of a meeting between two HR officials in Montgomery and Dr. Randall Weaver, then the acting chief of staff at the hospital there, describes the VISN leadership’s alleged view of Kassner. In the audio, Weaver says he hopes Kassner quits because if he comes back from sick leave, Atlanta VA leaders in VISN 7 will surely find any way to fire him. “The thing for him, because of his situation where they’re gonna — people will be after you again no matter what you do, even if you sneeze wrong they’re gonna get you,” Weaver says. He adds that because of Kassner’s brusque personality, “it’s easy to get stuff on him,” meaning to get people to turn against him. Weaver did not respond to NPR’s request for comment. 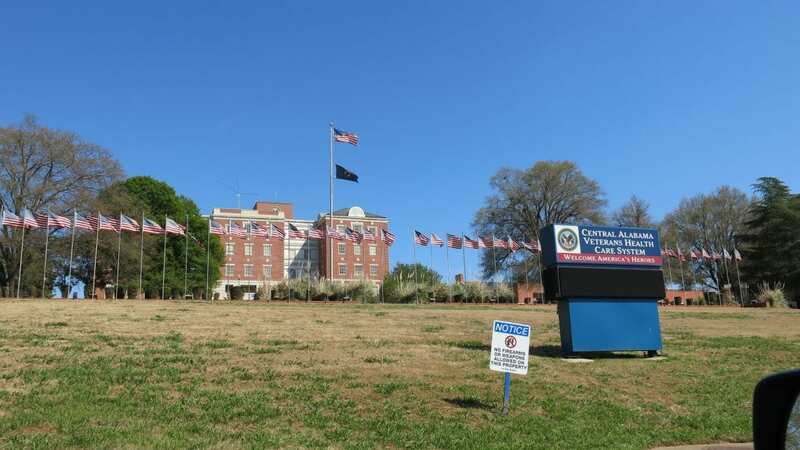 The actions alarmed Sheila Walsh, the director of human resources for the Central Alabama VA.
“That’s what made me feel so sick to my stomach, I mean because that’s all code for they’re going to target him,” says Walsh, who made the recording. She routinely taped meetings under a disabilities act health accommodation. Kassner was soon fired from CAVHCS. He was never given a reason. Documents show that the Alabama VA has stonewalled his attorney’s efforts to uncover evidence. For Kassner, the audiotape, the emails and the scores of documents — all of which he has turned over to federal investigators — underscore what he and others call a deeply troubling “mafia culture” at CAVHCS and VISN 7 leadership. His case may have another serious wrinkle. Kassner says he has evidence that his federal pay and employment records were altered by someone in Central Alabama. He says they falsely show he was “separated” from the VA before the end of his two-year probationary period, a key legal time frame for a federal employee because of work rules and benefit eligibility. They listed income after his probationary period, Kassner points out, as “deferred income” from a previous year. “It’s record falsification pure and simple,” he says. Remember Sheila Walsh, the head of the VA’s Central Alabama human resources division? The CAVHCS and VISN 7 leadership went after her, too. As HR director, Walsh, a 20-year Army vet, stood up for Chavez, for Kassner and, documents show, for several other Alabama whistleblowers she believed were facing unjust treatment and illegal retaliation. The retaliation also included intimidation and four weeks of isolation. Like Kassner, Chavez and the others, she was assigned to an isolated office and told not to communicate with fellow staffers or access documents while the investigation unfolded. A CAVHCS supervisor took away her office keys and even took possession of her Army service medals, military command coins and an American flag in a case that she got for 20 years of honorable military service, as well as family photos. Walsh believes taking control of her personal possessions was clearly part of the retaliation. CAVHCS has, so far, ignored her efforts to get those personal military items returned. She has even appealed to the House Committee on Veterans’ Affairs to get her military items back. So far, there has been no action. These retaliatory tactics in Alabama follow a clear pattern: Employees who flag problems or wrongdoing are quickly counter-investigated — almost always charged with creating “a hostile work environment” or other vague charges. Then the employee is isolated – literally. Senior VA leaders in Alabama and Atlanta declined to answer questions about the alleged pattern of retaliation, corruption and mismanagement. The director of the VA Southeast Network VISN 7 – Leslie Wiggins — refused multiple interview requests through three different spokespersons. The current director of Central Alabama’s VA, Linda Boyle, also refused multiple interview requests through spokespeople. Like Chavez, Kassner and scores of others we talked with in Alabama, former HR director Walsh has, in fact, filed formal complaints with the VA’s own Office of Accountability and Whistleblower Protection, as well as with the federal Office of Special Counsel, the federal Merit Systems Protection Board and other offices. Walsh’s doctor says she has a form of PTSD from the VA experience. The HR director remains out on unpaid medical leave after exhausting her annual leave. Walsh and the others want those federal bodies or Congress itself to take bold action to change the years-long pattern of retaliation. So far, their cases have been largely met with inaction, silence or indifference. VISN 7’s director Leslie Wiggins, in fact, has had numerous whistleblower retaliation complaints filed against her, including one by an employee in her immediate office in Atlanta. The federal Office of Special Counsel ruled against Wiggins and her office in a case that, as the Atlanta Journal-Constitution put it, showed that the Atlanta VA seemed more preoccupied with halting bad press coverage than stopping a series of veteran suicides in the Atlanta area. Retired Army Sgt. Maj. Greg Kendall, a 30-year veteran with tours in Iraq and Afghanistan, took a job as a public affairs officer (PAO) in the Atlanta VA after his military service. Kendall says he raised concerns about spending tens of thousands of taxpayer dollars promoting a local charity gala that senior VA employees planned to attend. At the time, the Atlanta office was under fire for underfunding and understaffing veteran mental health services, including suicide prevention efforts. “The leadership was not interested in my concerns and basically told me to mind my own business,” Kendall says. Kendall fought back, filing for whistleblower protection. The federal Office of Special Counsel (OSC) investigated and ruled in Kendall’s favor, saying he had been targeted and punished for speaking up. Kendall says he blew the whistle after thinking about the vets he served with in Iraq and Afghanistan. His case is one of the only whistleblower cases to succeed against VISN 7 leadership. Can the VA police itself? Nearly a year ago, the VA reorganized the unit responsible for protecting workers who call out wrongdoing, waste, fraud and abuse. In that 11-month period, the new Office of Accountability and Whistleblower Protection (OAWP) has received 120 whistleblower complaints from VISN 7: the most complaints of retaliation per veteran served of the department’s 21 VISNs. Only VISN 22 (Southern California, Arizona and New Mexico) and VISN 8 (Florida, Puerto Rico and the U.S. Virgin Islands) had similar numbers, but both serve a larger number of veterans. VISN 8, for example, had about 1.5 times as many completed veteran appointments in 2017, according to the VA’s own patient access data. Of those 120 complaints against VISN 7, 79 were determined to be of “reasonable belief” and 51 investigations were opened. Yet only 11 of those 51 are currently under investigation by OAWP. The other 40 were sent back to VISN 7 or district level for investigation. It’s exactly that investigatory boomerang, critics say, that highlights why the VA is so ineffectual at policing whistleblower retaliation. For example, emails from Walsh, the HR executive, show that during her last contact with OAWP, the office told her that her case was under investigation. But Walsh hasn’t heard from OAWP in more than eight months. “No calls, no emails, no texts, nothing. It’s like we don’t exist,” she says. VA spokeswoman Ashleigh Barry said the OAWP would not comment on active investigations or allegations of worker retaliation at VISN 7, but said the department takes all allegations seriously. The Accountability and Whistleblower Protection Act expanded the authority and support for the OAWP, the VA’s office that now shares the bill’s name. But a year later, there’s skepticism the OAWP is living up to its name. “We’ve got a very sick organization. The important thing (for the VA) is to squelch the whistleblowers to speak. You know, it’s like shoot the messenger because it’s not the message we want to hear,” says VA whistleblower Sheila Meuse, who has 30-plus years of federal service — almost all of it at VA facilities across the country. Just four months into her new job in Alabama, Meuse and her direct boss, Richard Tremaine, exposed unethical practices — part of that wait-times scandal in 2014 that played out in multiple VA hospitals across the country. Central Alabama has long had other, well-documented problems. CAVHCS was investigated by the Office of Inspector General, which confirmed it had some of the worst wait times in the country. VISN 7 was recently cited for failing “vulnerable veterans” by not adequately providing and repairing wheelchairs and scooters for disabled service men and women. Also, in 2017 a Navy veteran with dementia wandered away from the Tuskegee VA dementia unit. He was never found. But the wait-time scandal in Alabama also involved misconduct, negligence and cover-up: several thousand veteran X-rays were never read, and one VA employee in Tuskegee took a veteran in recovery to a crack house to buy drugs. The employee even charged the VA several hundred dollars in overtime pay for the drug-buying binge. Meuse and Tremaine, gave inspectors evidence that the then-director had known about cooking the wait time books for at least a year. That CAVHCS director, James Talton, was eventually fired for neglect of duty. Yet, lost in all that scandal was what happened to whistleblowers Tremaine and Meuse. Tremaine took a senior management job at a VA hospital in Colorado. Meuse left the VA. She now sells real estate around Montgomery. Improving VA management and protecting workers who speak up was one of President Trump’s campaign pledges. Meuse is not convinced the newly rebranded whistleblower protection office can fix what she calls an abusive ethos that runs deep in some parts of the VA, especially in Alabama. “I don’t think naming an office is how you fix an organizational culture that is really rancid and full of cronyism, favoritism; the old guard that takes care of themselves to maintain the status quo instead of caring for veterans,” she says. Many watchdog groups agree. The complaints about President Trump’s newly created office include that it’s understaffed and that investigations drag on. But the biggest critique is that the whistleblower protection office or OAWP can’t really enforce its findings. “I’ve been impressed that the new OAWP is actually making a good faith effort. But they don’t have any teeth to their good faith,” says Tom Devine with the nonprofit Government Accountability Project. Devine says numbers to his office show that about 40 percent of all whistleblower retaliation complaints from the entire U.S. government come from the VA. Federal testimony supports those numbers. “I haven’t heard anyone tell me that when they’ve gone to this office of accountability that they’ve actually been assisted,” says Jackie Garrick, the founding director of the independent group Whistleblowers of America. Garrick says at least 80 percent of all cases that come into her office are from VA employees. In fact, tensions within the VA over whistleblowers came to light when a congressman released correspondence this week. In a strongly worded letter, the VA’s Inspector General (OIG) voiced deep concern that the OAWP is failing to turn over key records and information about the 150 to 170 employee retaliation complaints that office receives every month. The inspector general is the VA’s oversight body tasked with audits, investigations and detecting waste, abuse and mismanagement. Whether the VA can be fair and objective while investigating itself will be one key challenge for President Trump’s pick to lead the VA, nominee Robert Wilkie Jr., who faces confirmation hearings later this year.